We are now ISO 9001 and ISO 27001 certified! – Innologica Ltd. Being certified in the ISO 9001:2008 standard means to guarantee that all our processes, documentation and improvements of our service meet the given requirements. By this, our customers can expect a constant and high level of quality and reliability from our work. 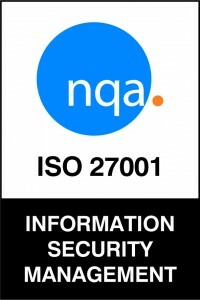 ISO 27001:2013 is designed to help establish and maintain an effective information security management system, using a continual improvement approach. It requires rigorous repeated external assessment and demands applicants meet high standards of risk management and security control on an on-going basis. The certification also guarantees that all relevant networks are protected against any systemic vulnerabilities, keeping client organizations like yours protected 24/7.